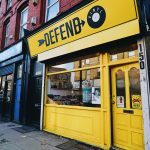 With Defend Vinyl having opened its doors on Smithdown Road, Getintothis’ Paul Higham met with Graham Jones to chat all things record shop related. 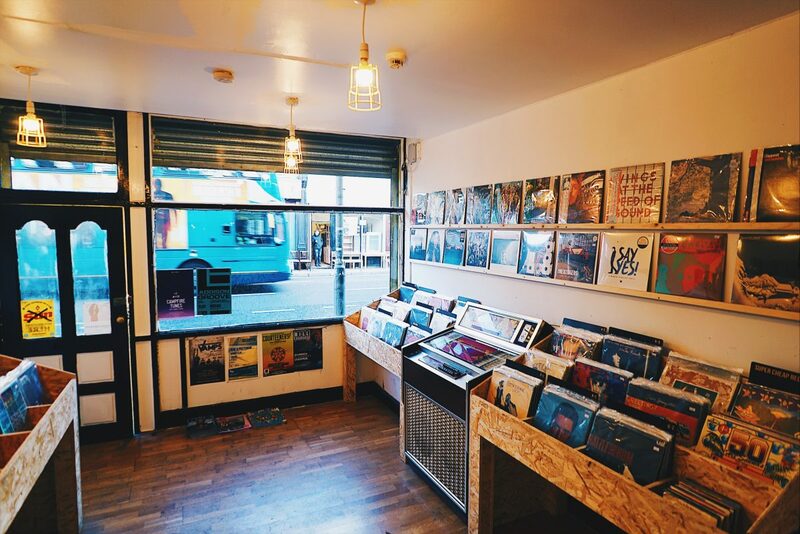 If there has been much talk of the vinyl revival in recent years then equally Smithdown Road is currently experiencing something of a renaissance, with a number of exciting new businesses opening and thriving in the vibrant south Liverpool thoroughfare. Late in 2016 the twin forces coalesced with the opening of a new record shop catering exclusively to Liverpool’s vinyl enthusiasts, Defend Vinyl. As consumer tastes have drifted from consuming music in physical format, initially exclusively on vinyl and then on tape and CD, through to digital downloads and finally to online streaming services, the obituary for the record shop has been written many times over. 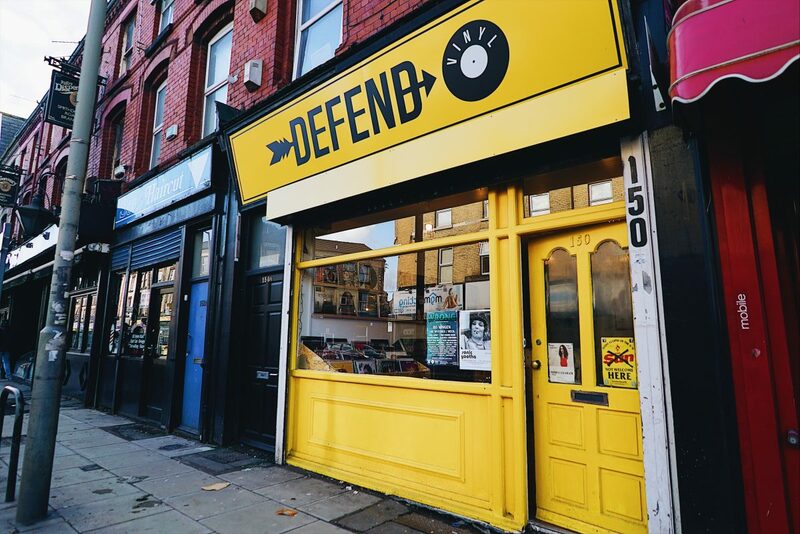 Yet, as with Bold Street’s Dig Vinyl, the opening of Defend Vinyl offers hope. Hope that reports of the death of the record shop have been greatly exaggerated. As anyone with more than a passing interest in buying music will attest, preserving record shops matters. They act as a focal point of a community, becoming more than just a place to buy records but a place to meet and to hang out. To flick through the racks and discover something new as well as sharing recommendations and exchanging ideas. Some might argue that social media performs a similar role, while algorithms are becoming more adept at intelligently understanding what we want to listen to. Yet there is something impersonal about it. Try as you might you can’t beat the human touch and the infectious enthusiasm that comes with the most ardent recommendation. The sense that someone has selected it for you, tailoring it to your tastes. In this throwaway age where time is precious and the demands placed on it ever-growing, the tendency is to dismiss prematurely and move swiftly on to the next thing. And when there is all the music in the world available at the click of a button, the temptation to move on can become over-bearing. Yet if recommendations are personal you are much more inclined to linger, to give it that extra few listens that are sometimes necessary for a record to fully reveal its charms. It is this personal touch that ensures that record shops remain special places, important pillars of our community. We realise there is much debate to be had over the validity of formats. Physical versus digital? CD versus vinyl records? The vinyl revival – the Emperor’s new clothes? Irrespective of which side of the fence your opinion falls, the one thing that is undeniable is importance of the human engagement. 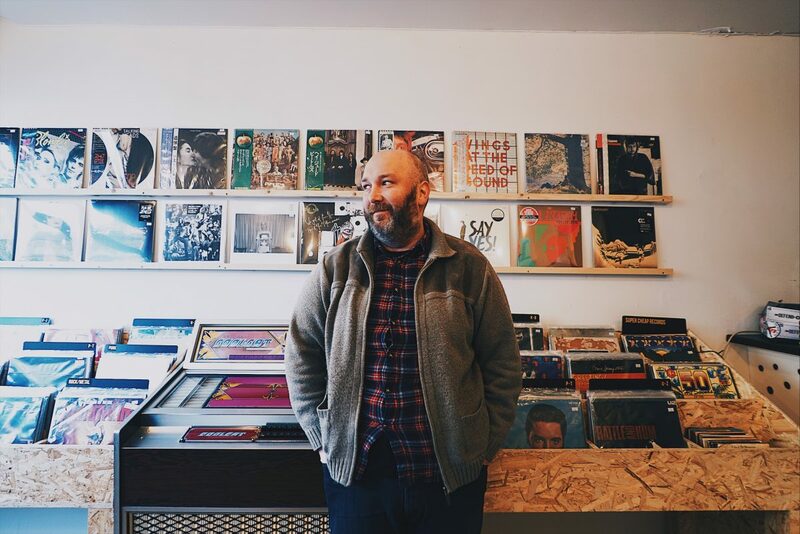 With this in mind we popped down to Smithdown Road to chat with Defend Vinyl‘s Graham Jones to find out a bit more about his shop, what’s on his shelves that he can’t bear to part with and the challenges of opening a record shop in the digital age. 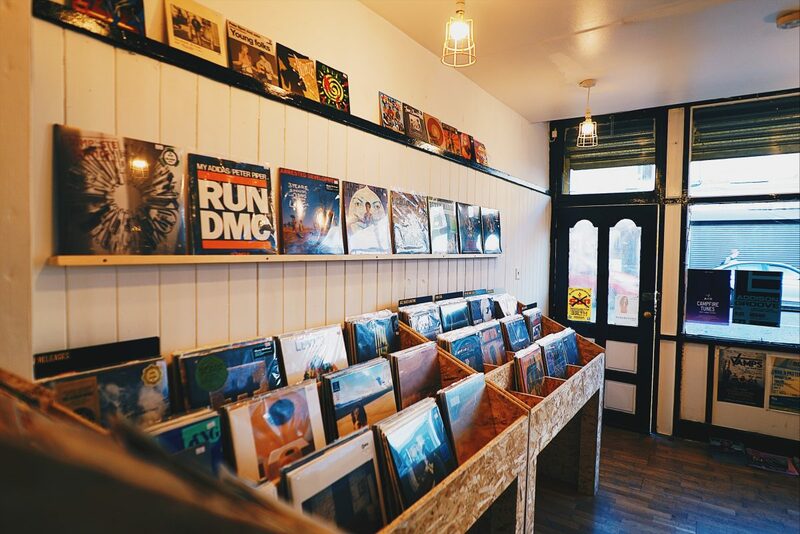 Getintothis: What made you open a record shop, do you have a background in music retail? 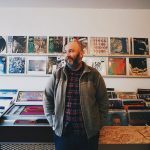 Graham Jones: “Opening Defend Vinyl was totally jumping in at the deep end for me – I had no music retail experience at all; the first time I’d used a till was the launch night and I didn’t do a great job unfortunately! I’ve got my head around it now luckily. Getintothis: What did you find most challenging or daunting about opening the shop and how has business been since last year’s opening? Graham Jones: “When I first looked into opening a record shop it was with a view to doing it two, three years down the line. Just as research into how doable it was I made phone calls to distributors, started buying stock, got advice, and looked into premises and without realising I’d done all the preparation I needed so I went ahead. “I think had I set out and said to myself “I’m going to open a record shop on Smithdown Road in 6 months” I would have found it too daunting. Getintothis: Why did you choose Smithdown Road? Graham Jones: “Smithdown Road is really thriving at the moment, with the Smithdown Road Festival taking off and other amazing independents like Evil Eye and Naked Lunch, Sacred Fortune, as well as some soon to open like Craft Taprooms and Handyman Brewery. 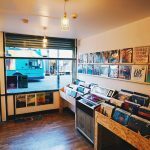 Getintothis: Are record shops still important – isn’t everyone just streaming these days or buying online downloads? 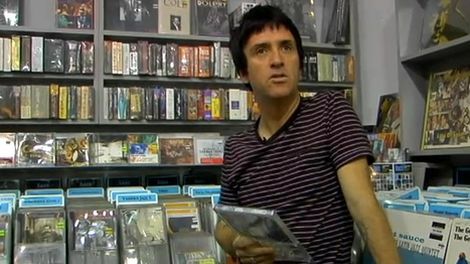 Graham Jones: “Record shops are incredibly important I’d say. Going to a record shop and spending time looking through the shelves, soaking up the atmosphere, and coming across something you want, or have been after for years is a really special experience. 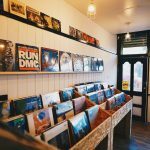 Getintothis: How would you describe the shop – what type of music does it cover? Graham Jones: “The emphasis is on US indie and alternative, punk and emo. Quite often I found that I had to order a lot of the records I wanted online so I felt there was a gap in the market in Liverpool for people like me who couldn’t always find the music they wanted closer to home. Getintothis: What’s the focus? Is it on new music or secondhand? Graham Jones: “My focus really right now is filling the shelves with as many great and interesting records as possible, both used and new. Getintothis: What drives sales – are you selling more new or old stuff? Getintothis: Where do you get your stock from – how quickly does it turn over? Getintothis: Do you have a typical customer, is record buying the preserve of middle-aged men? Getintothis: Much has been written of the so-called vinyl revival – what’s your perspective from the coal face? Graham Jones: “It’s great more people are buying it but for a lot of people it’s never gone away, myself included. Probe has always been selling vinyl as well as other great record shops, boss bands have always put stuff out on vinyl but now cause Robbie Williams is releasing his album on vinyl and HMV and Asda are selling vinyl it’s called a revival. Getintothis: Where do you think the appeal comes from, particularly for younger people just starting their collections? Is it a fashion trend or do you think people buy it for its sound quality – is analogue a better medium than digital? Graham Jones: “The weekend before Record Store Day last year I was in Piccadilly Records when Granada news were filming a feature on RSD and some lad was talking about how he buys records specifically to hang on his wall. Getintothis: Liverpool already has, among others, Probe and Dig. How does Defend fit in to Liverpool, what do you do differently to stand out? Graham Jones: “I’d say Probe and Dig are very different from one another, as is Jacaranda Records, Cult Vinyl, 3 Beat and the others that are opening all the time which includes Defend. Getintothis: What does the future hold, do you think there’ll be an enduring demand for physical music? Graham Jones: “It’s lasted this long so I don’t see why not. I hope so! Although I can’t see Sainsbury’s still selling vinyl in two or three years time. 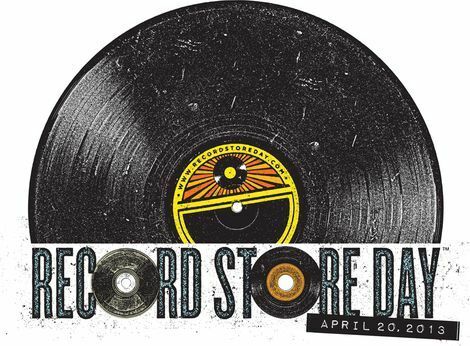 Getintothis: Have there been any records you just don’t want to sell? What do you currently have in stock that you’d be sad to part with? Graham Jones: “I’ll be quite sad to see the Japanese import of Talking Head‘s Stop Making Sense go, that’s a really beautiful looking record, although it’s nice seeing people go away with something you know they’re gonna enjoy. “I was sorry to see Bruce Willis‘ The Return Of Bruno go as it was funny seeing people who had no idea he had released an album see it for the first time. Photos by Getintothis’ Ryan Jafarzadeh.